Daredevil is a popular Marvel superhero. 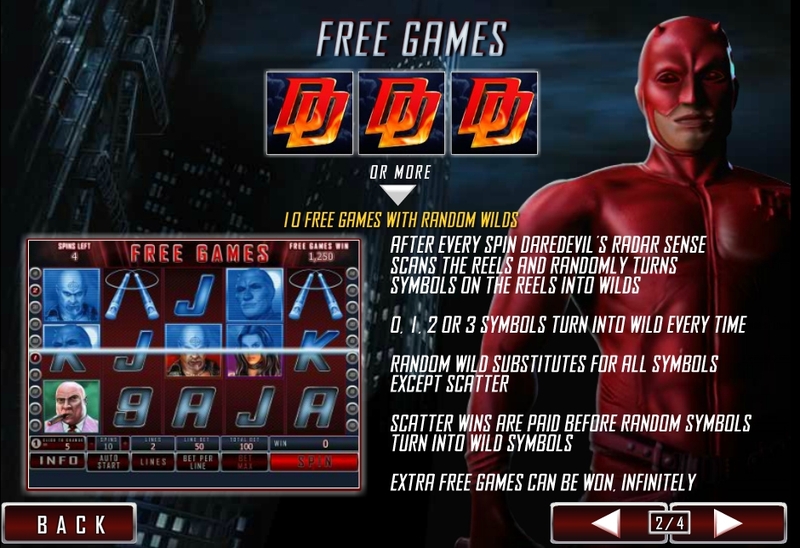 Back in 2003, a Daredevil movie starring Ben Affleck as the titular character was released, and Playtech, which has the Marvel license for online slots, developed and released a Daredevil slot machine in order to coincide with it. Although more than a decade old now, the game is still quite popular among Marvel and slot fans alike, and the game has received renewed interest thanks to an acclaimed Netflix series starring Charlie Cox. 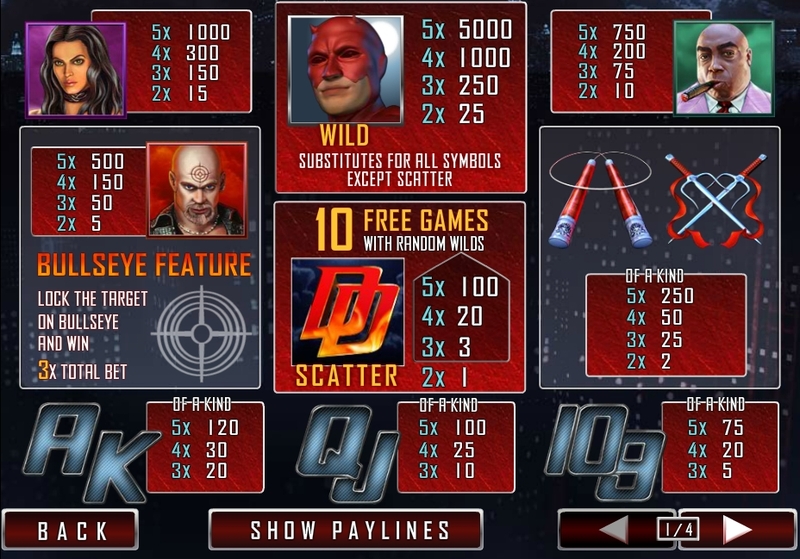 An interesting aspect of Daredevil and many of the other Marvel-licensed Playtech slot games released prior to the Iron Man film in 2008 is that they combine elements from various sources. The symbol sets are hand drawn but in a style that’s different from the comics. Some elements reflect the comics but others reflect the movies. Kingpin, for instance, is African-American as he was in the film, and Bullseye looks more like the Collin Farrell version than the iconic comic version. Nevertheless, this mix works and results in a game that’s very much Daredevil but also very much its own thing as well. Daredevil is a Marvel comic book character created by Stan Lee, Bill Everett and Jack Kirby that was first introduced in 1964. Frank Miller had two influential runs on Daredevil in the 1980s. These runs not only cemented Daredevil’s role in the Marvel Universe but established many of the characteristics that fans will now forever associate with the character. This slot machine doesn’t dwell much on Daredevil’s early years. Foggy and Karen are nowhere to be found. Elektra is, as are her sais. The Kingpin and Bullseye are as well. Daredevil’s baton and the iconic DD logo round out the symbol set. 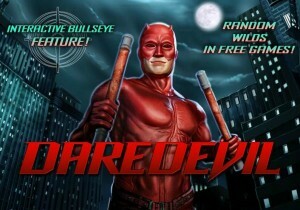 The game even incorporates Matt Murdock’s special sense into a game feature that adds wilds to the reels after the fact. The music is original and well-suited to the experience, and the artwork is both faithful and novel. 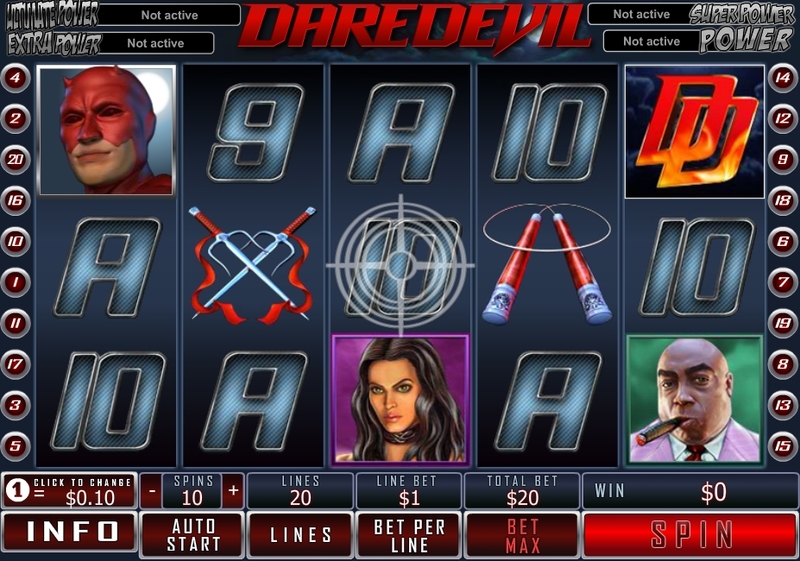 Daredevil is a five-reel slot machine with 20 bet lines, and you can choose to activate between one and 20 lines at a time. More lines will increase the total bet per spin. Daredevil is both the jackpot and wild symbol. As a jackpot, it pays out up to 5,000 coins, and as a wild, it can substitute for any standard symbol. 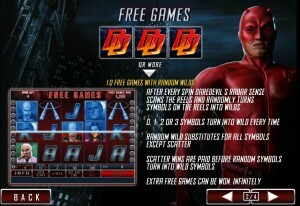 The Daredevil logo symbol is a scatter that awards coins as well as 10 free games that include random wilds. There’s also a bullseye symbol, which is a feature added post-launch. Choose a square on the board to place the bullseye, and if a Bullseye symbol lands on that spot, you win three times your bet in addition to any other winnings. Daredevil’s baton and Elektra’s sais symbols are interchangeable, and the game is part of the Marvel Jackpot multi-progressive system, which you can win on any spin. 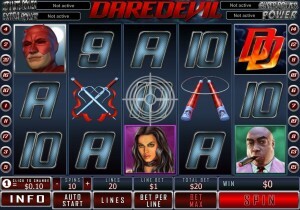 Daredevil by Playtech is available at SlotsClub.com and around the Web. 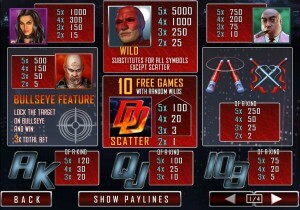 All Marvel slots by Playtech can be played free, and Daredevil is one of the best free online slots because it has a great sense of atmosphere and story and offers many different features to keep things interesting. The Bullseye icon, which was added later, is a nice touch that gives you one more thing to interact with. Another nice touch is that many of the symbols animate in order to provide visual cues. 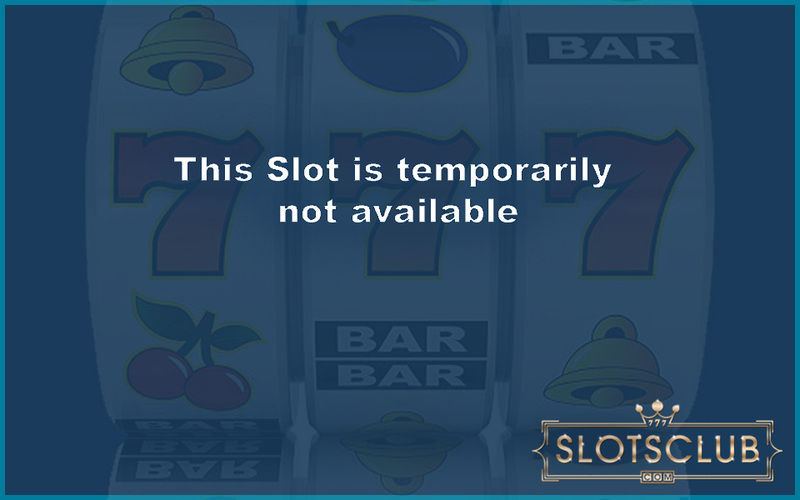 Free games aren’t awarded unless three or more scatters appear, which is something the game isn’t clear about but that most experience slot players will probably assume anyway. That niggle aside, this is a fantastic game that we can play for long periods.